The moonflower is an annual vine that is related to the morning glory. 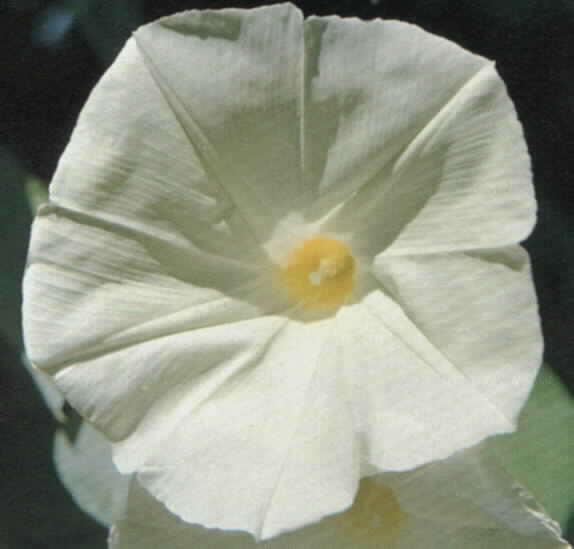 It is a white flower that opens in the afternoon through the evening until early morning. On the market today are varieties that have longer bloom time and larger blooms. Go to the Other Sources page for a website where you can order this flower. As for the moongarden, what moongarden is complete without the moonflower.